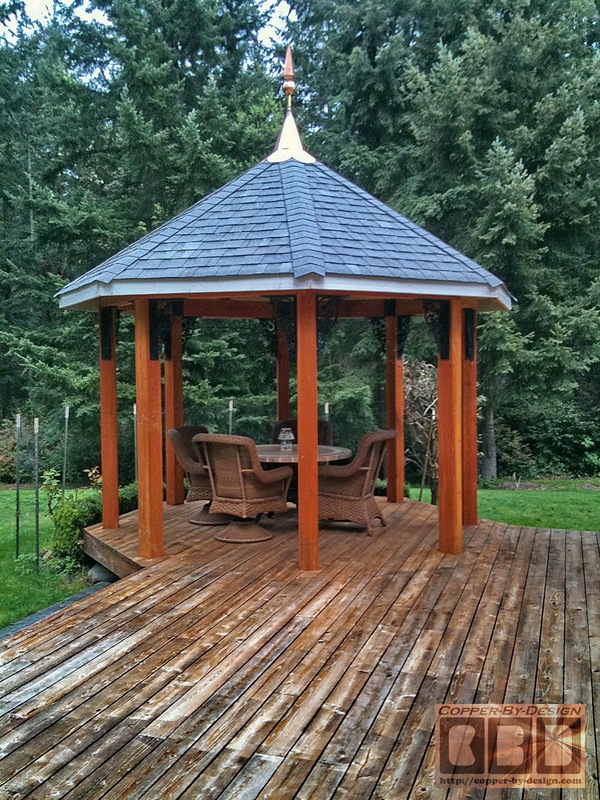 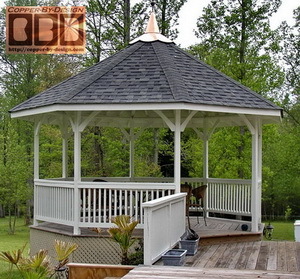 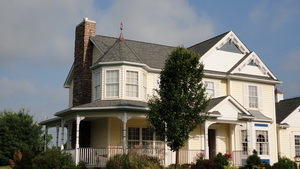 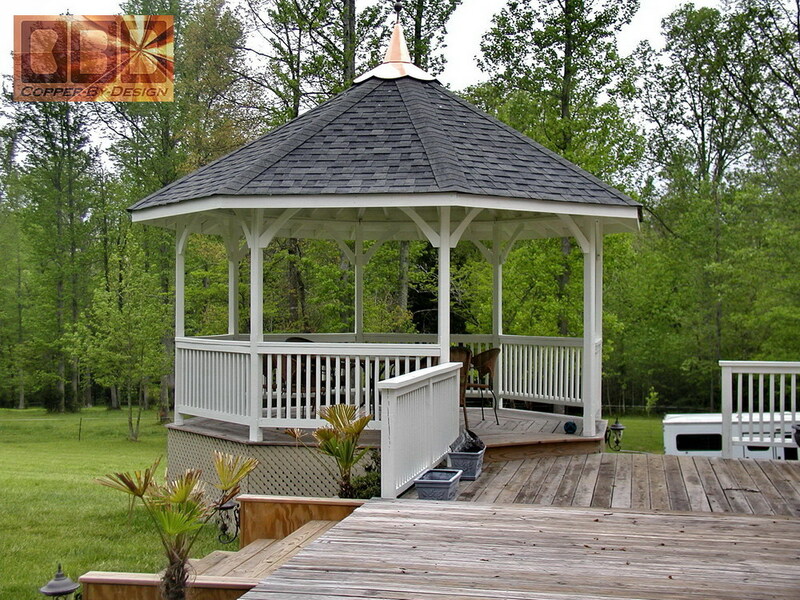 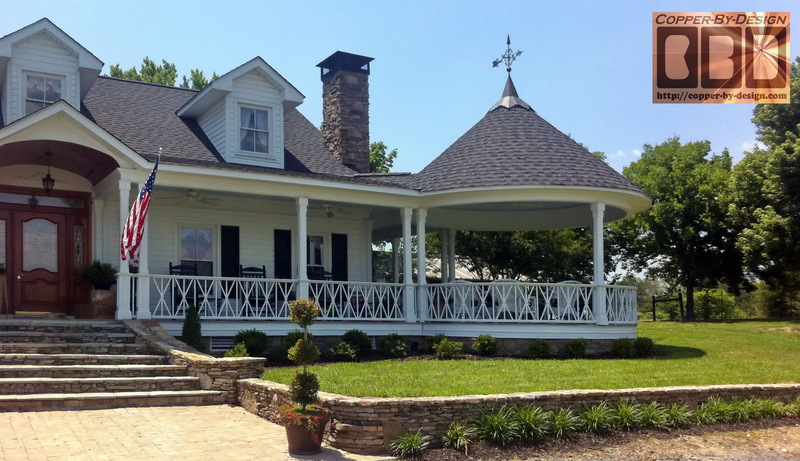 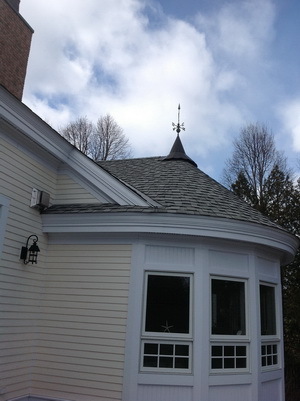 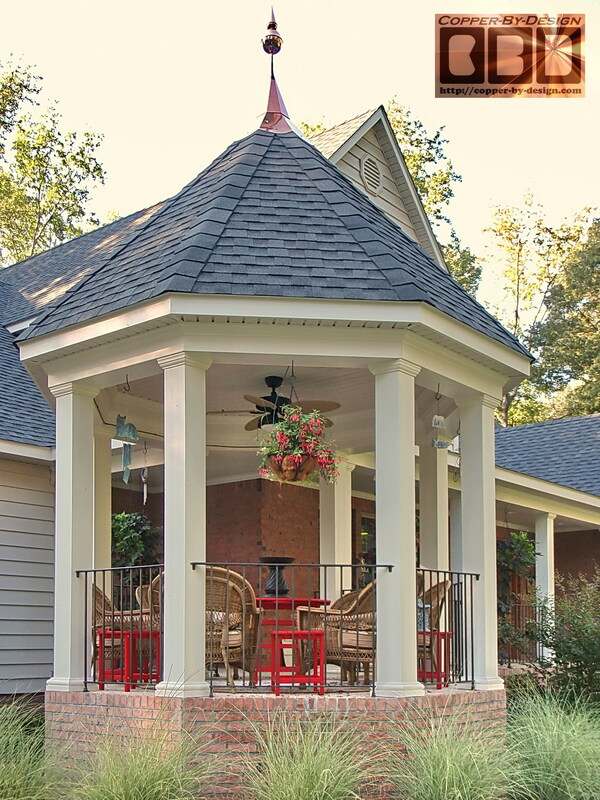 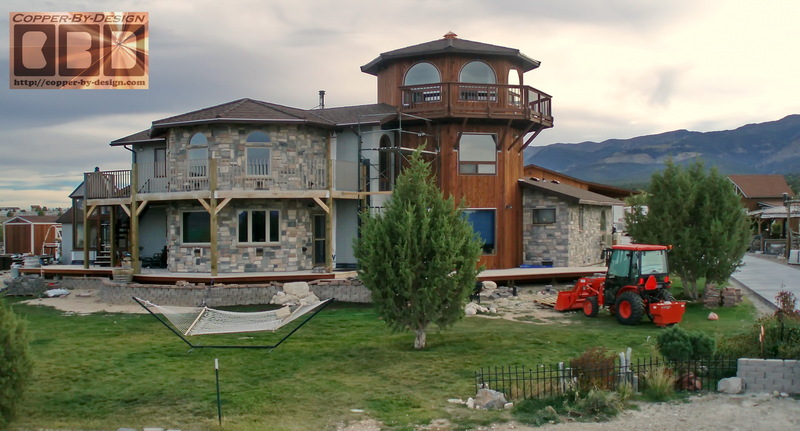 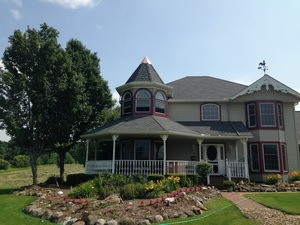 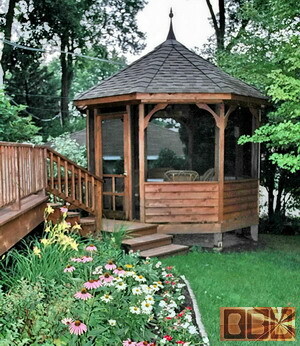 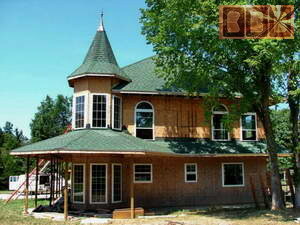 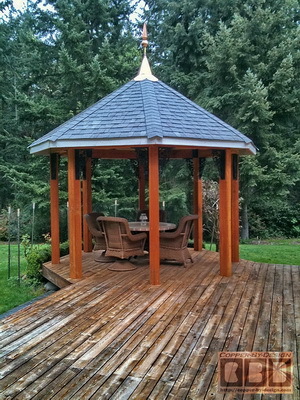 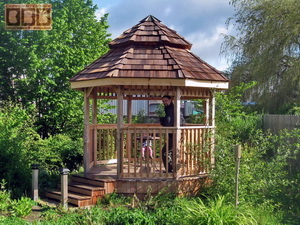 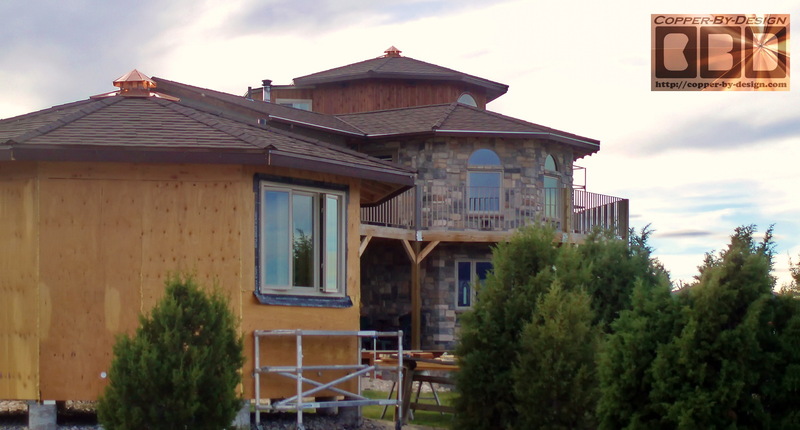 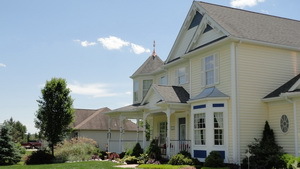 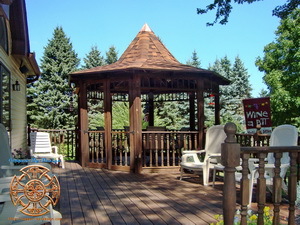 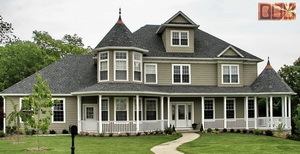 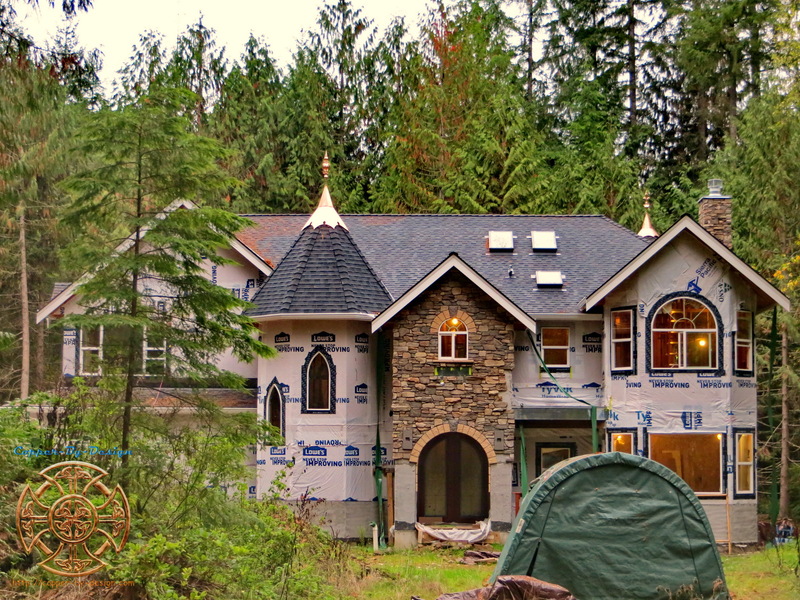 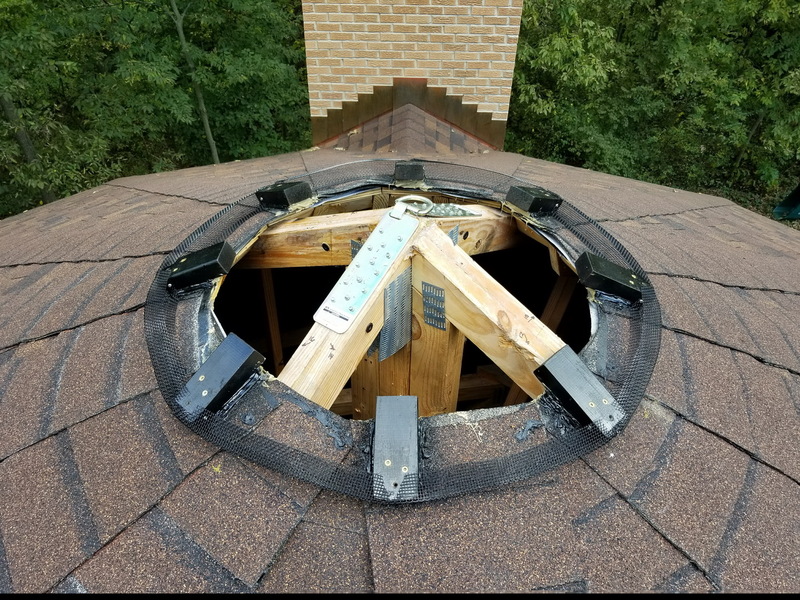 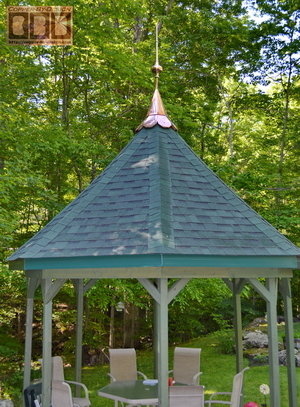 These are some of the photos that were sent to us by the proud owners of the custom roof caps I made after installation over their turret or gazebo roofs. I'd love to share more of these type of shots with you, but I have not want to pester my clients about getting pictures, so it is rare I hear back from them after they get their roof cap(s), let alone get back to us with these wonderful pictures. 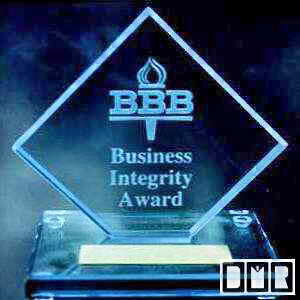 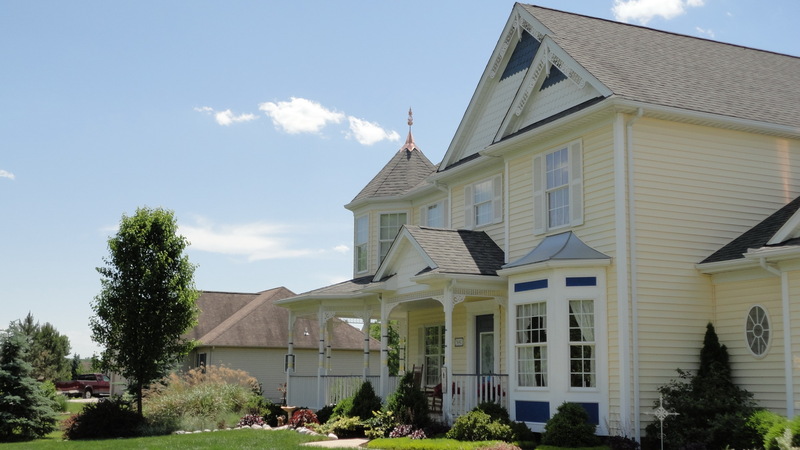 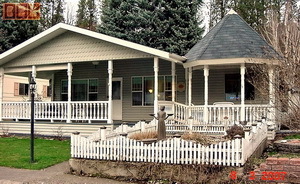 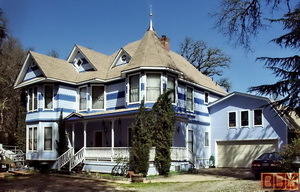 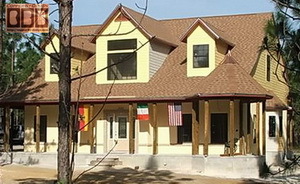 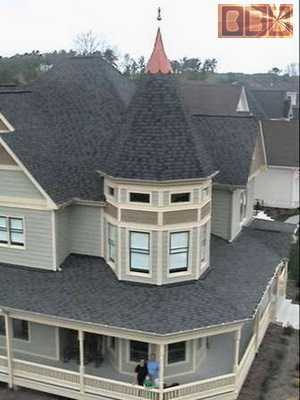 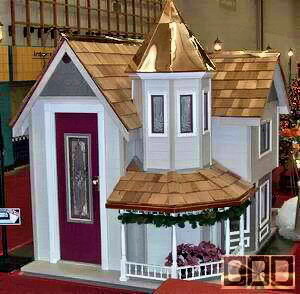 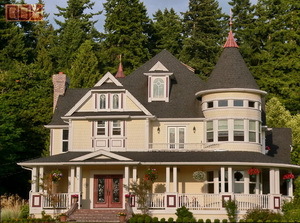 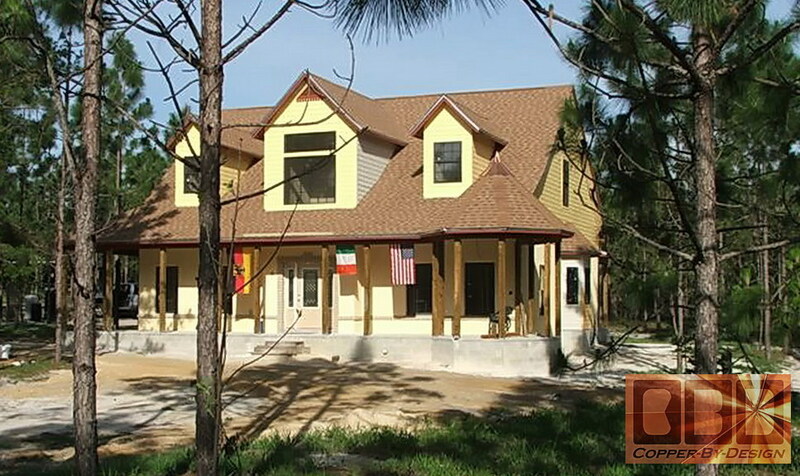 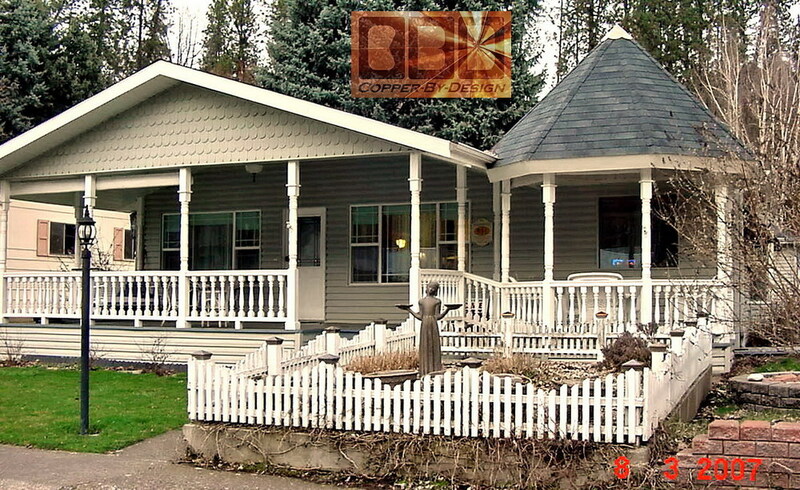 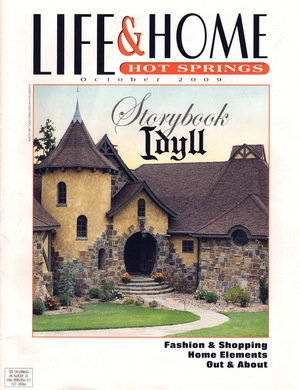 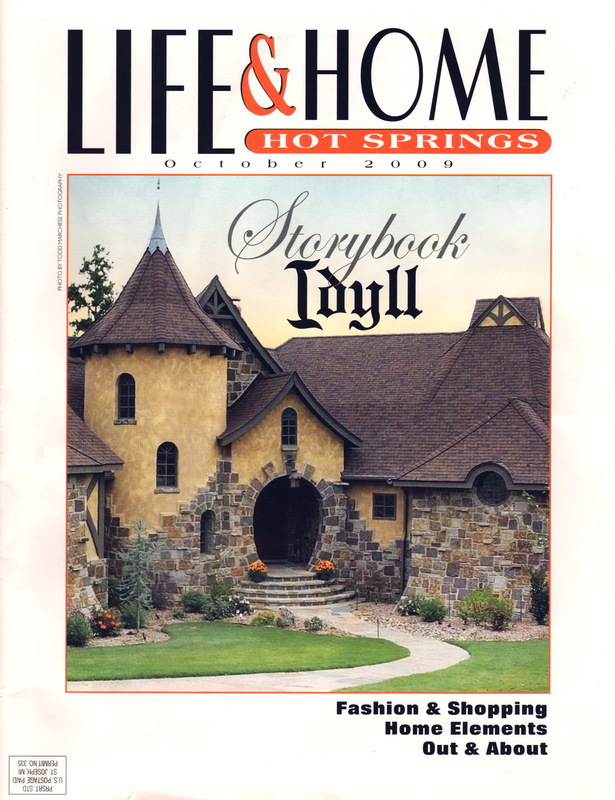 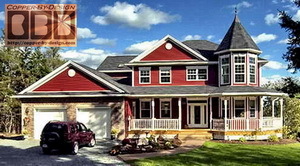 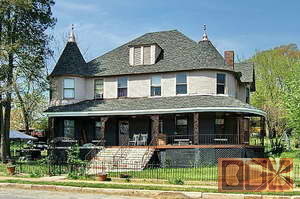 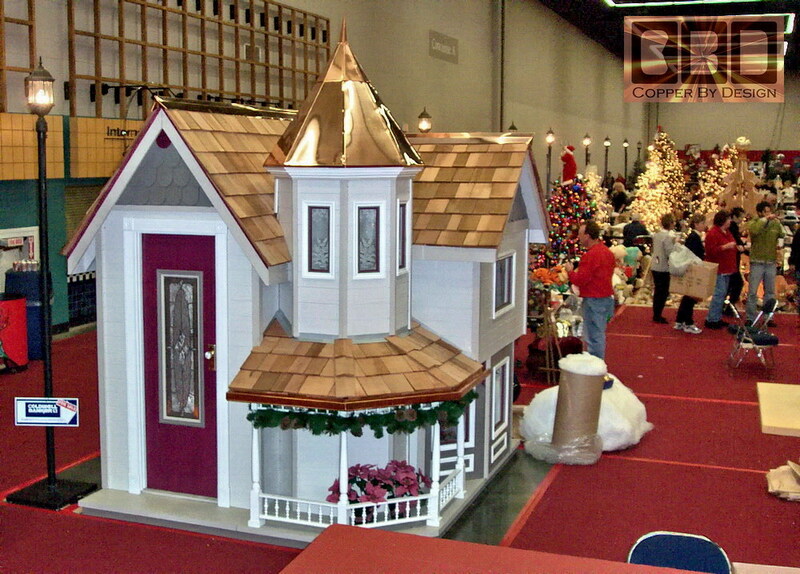 I know you'll want to see them to help you decide what might be best for the crowning jewel of your home. 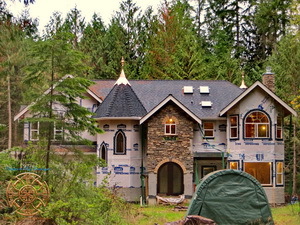 More to come as time permits. 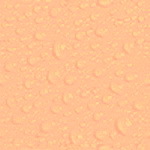 Perhaps you will be so kind as to share your photos here some day? 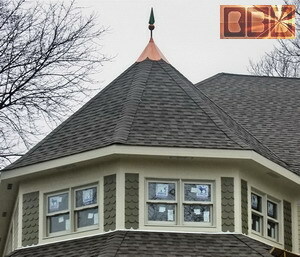 Note: remember that you can click on each pictures to get a better look, or click on their name to see more pictures and info about that project. 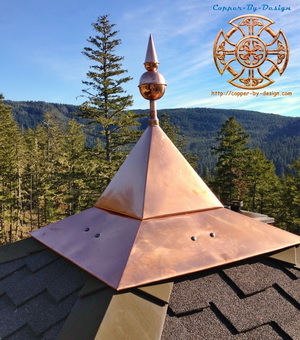 I could add more current images here, but we already have so much here it would just bog down your browser, but we are still quite active with these sort of projects. 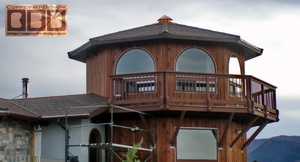 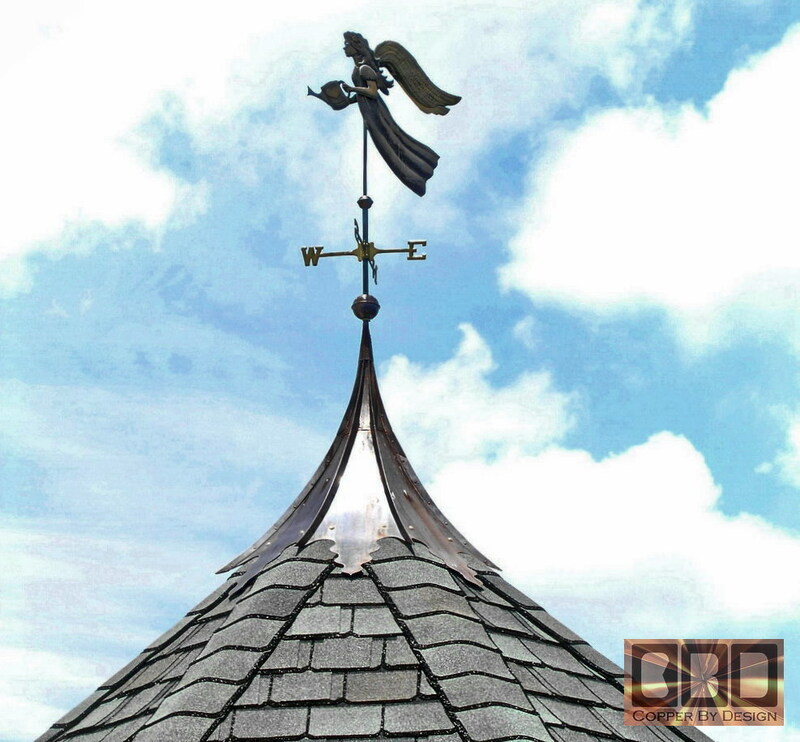 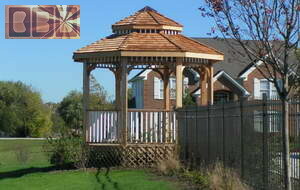 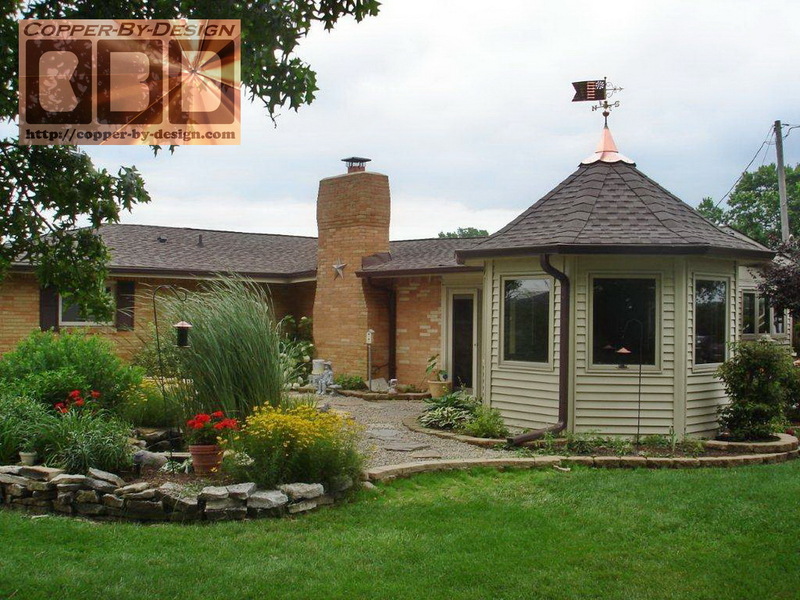 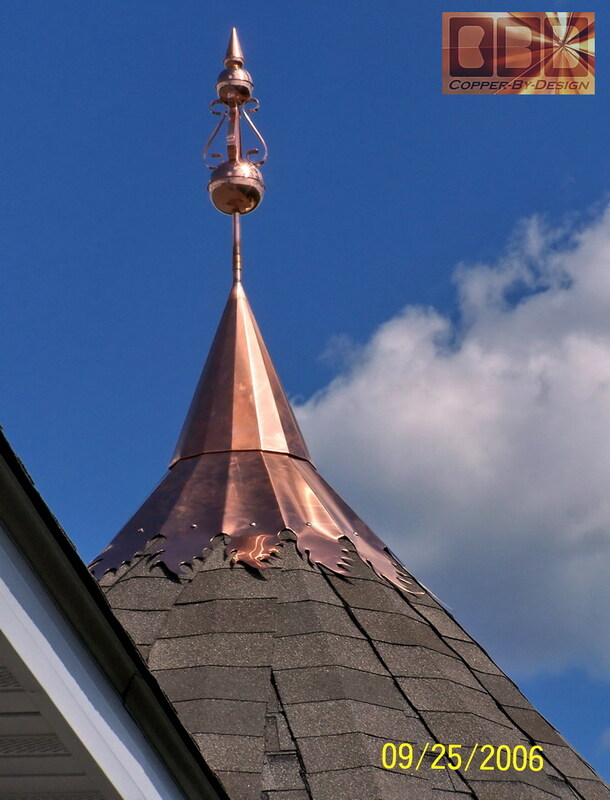 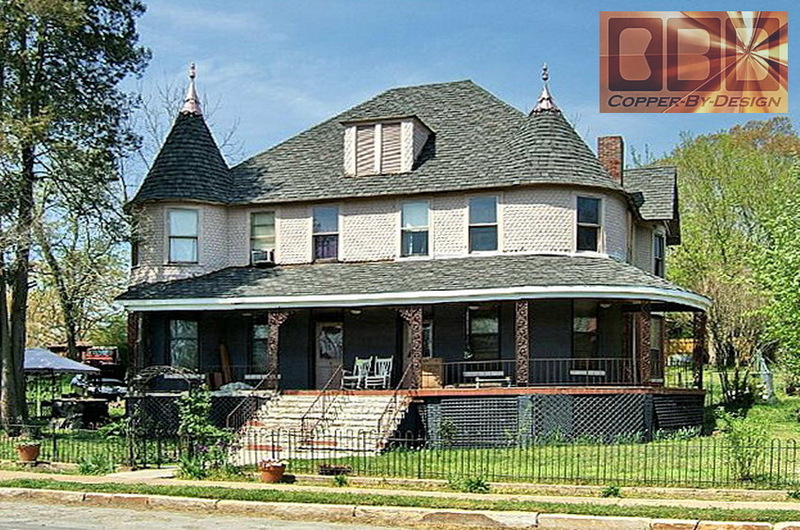 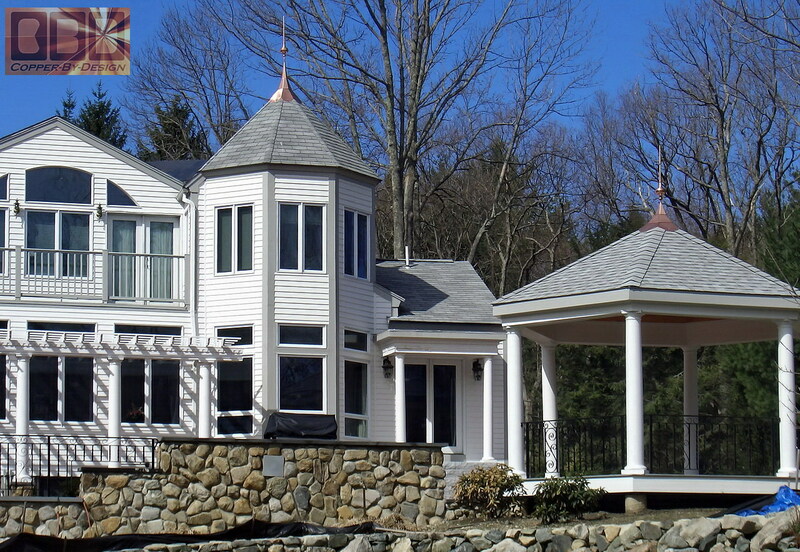 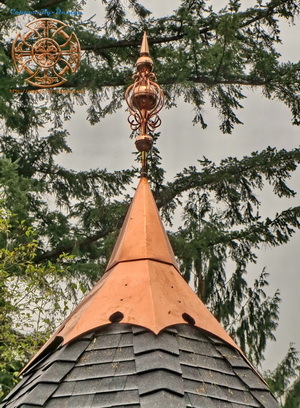 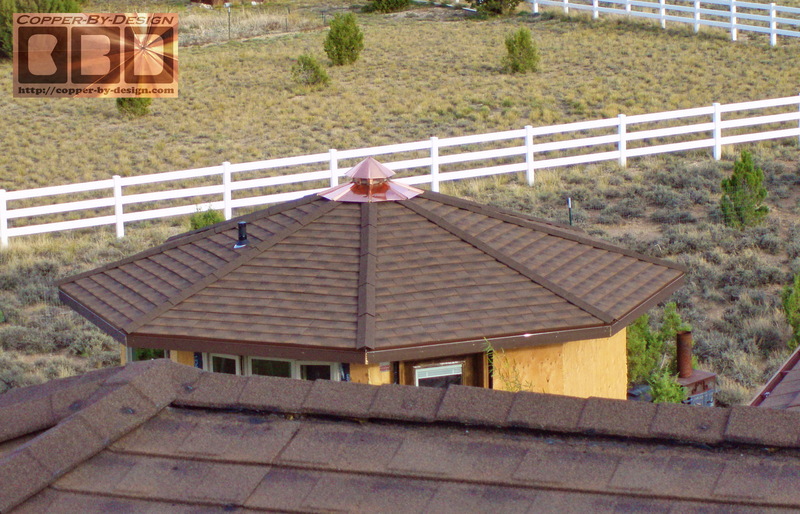 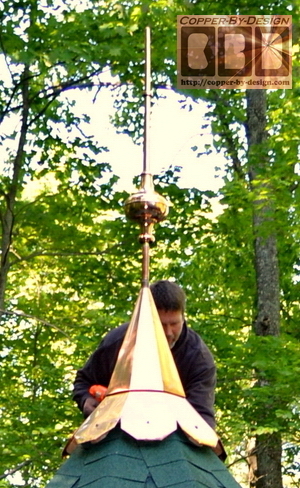 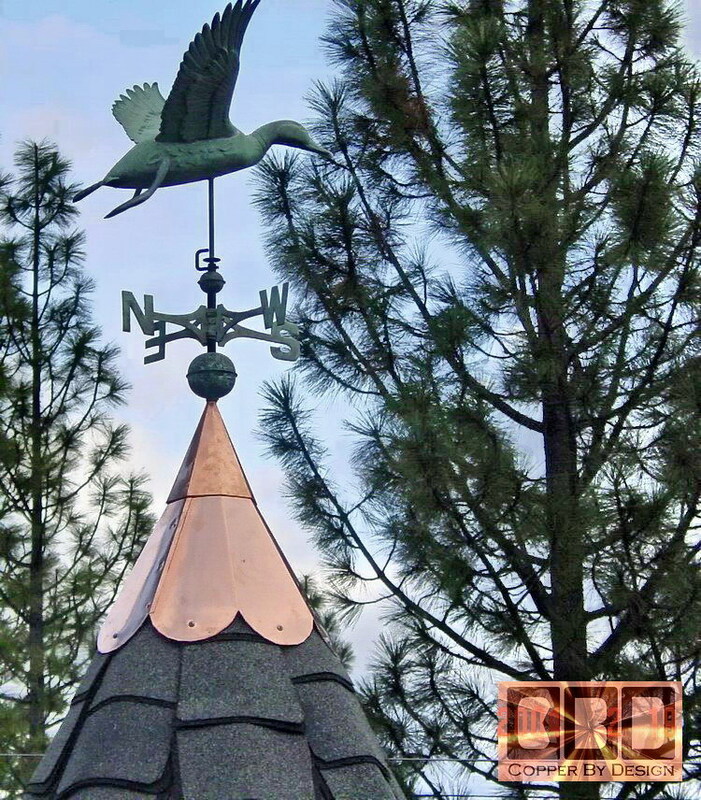 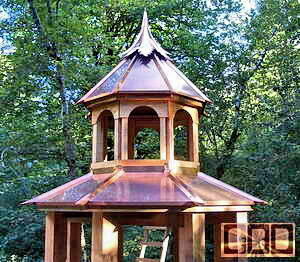 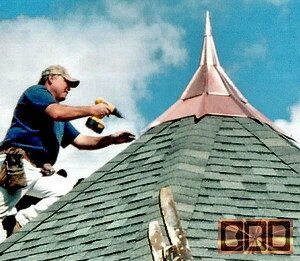 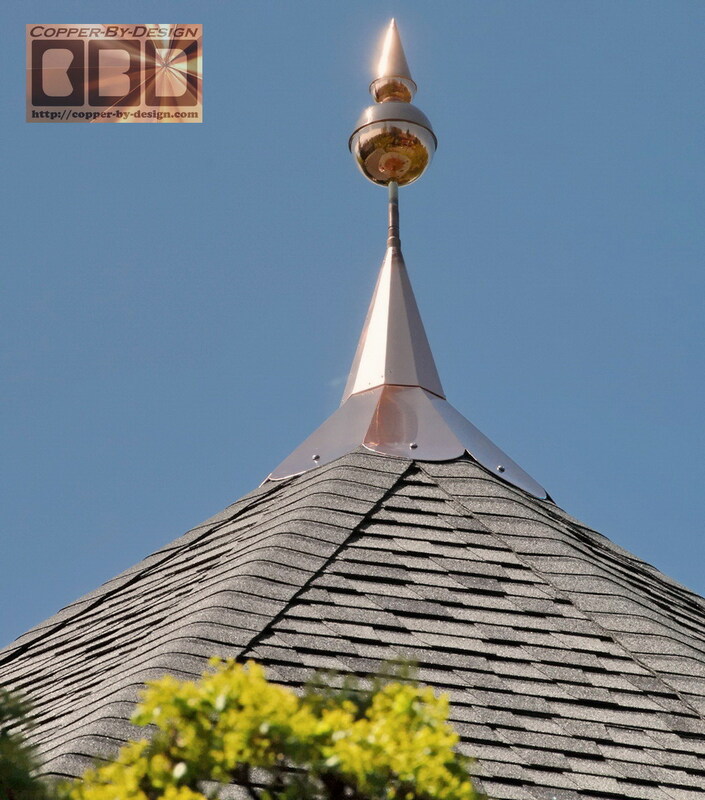 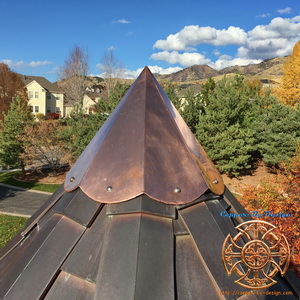 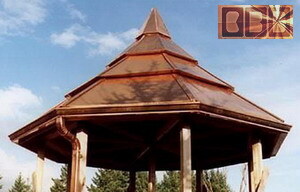 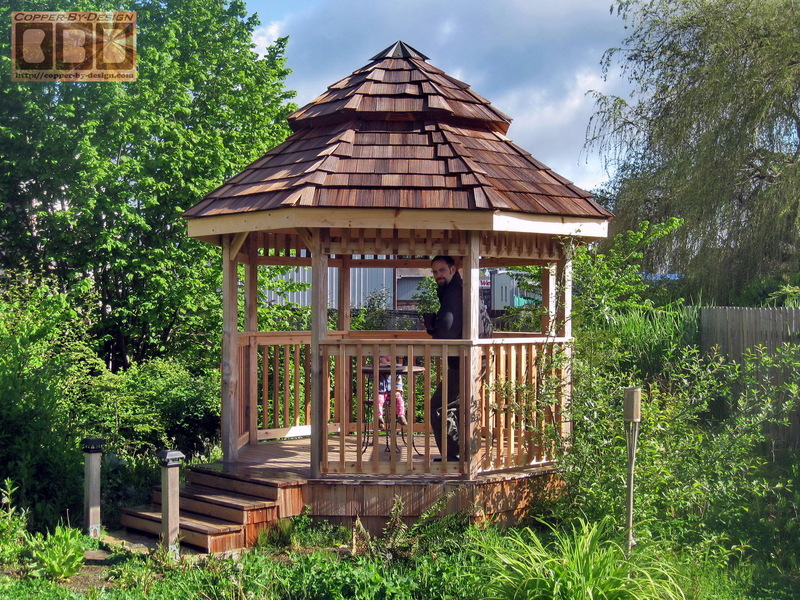 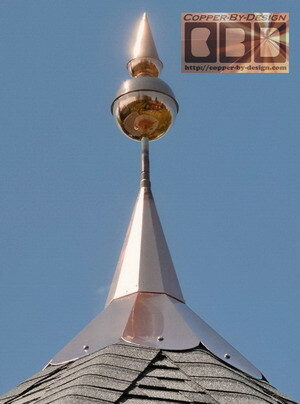 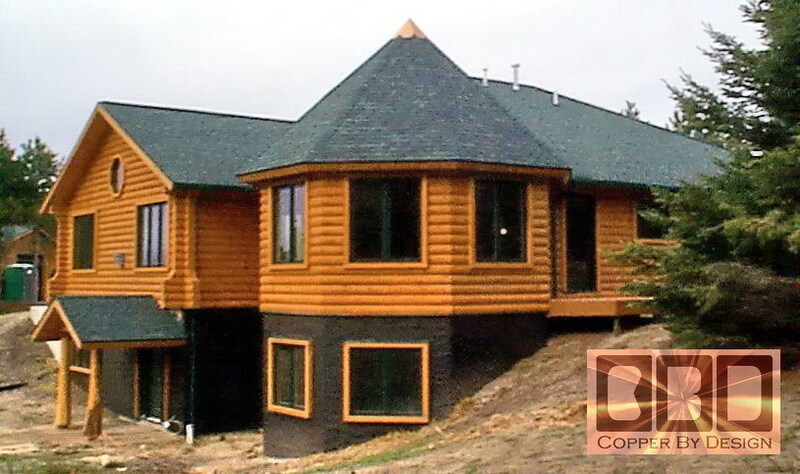 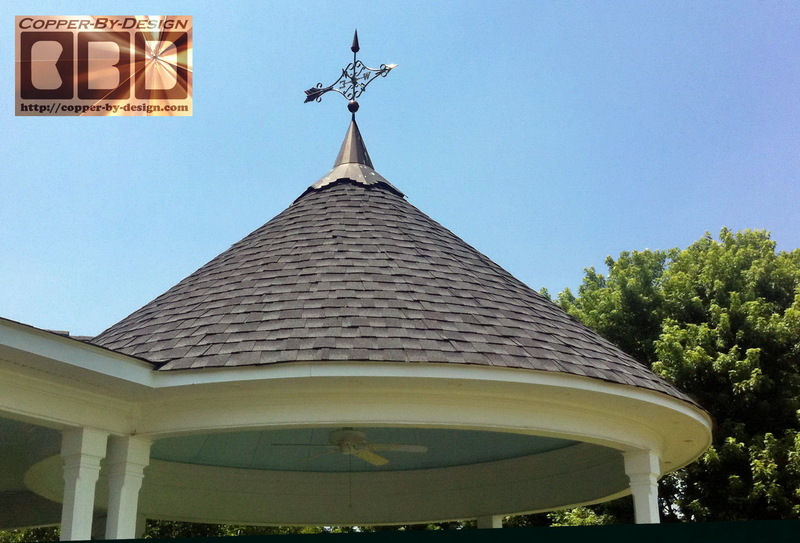 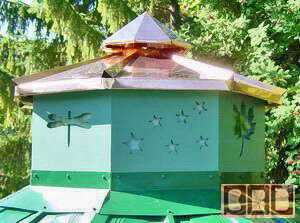 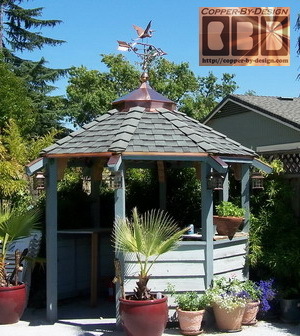 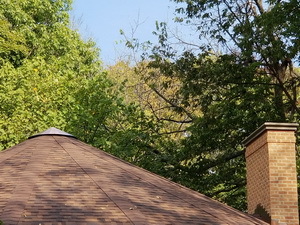 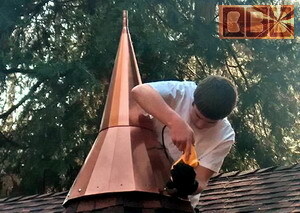 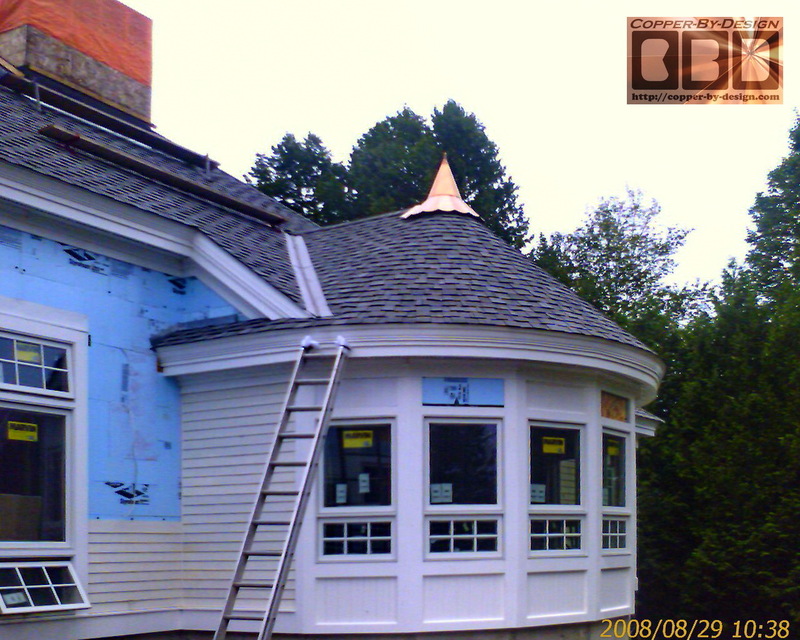 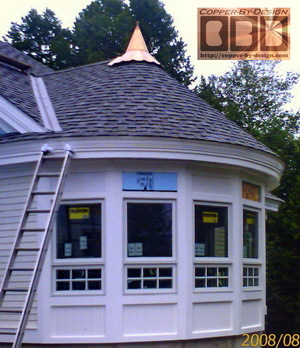 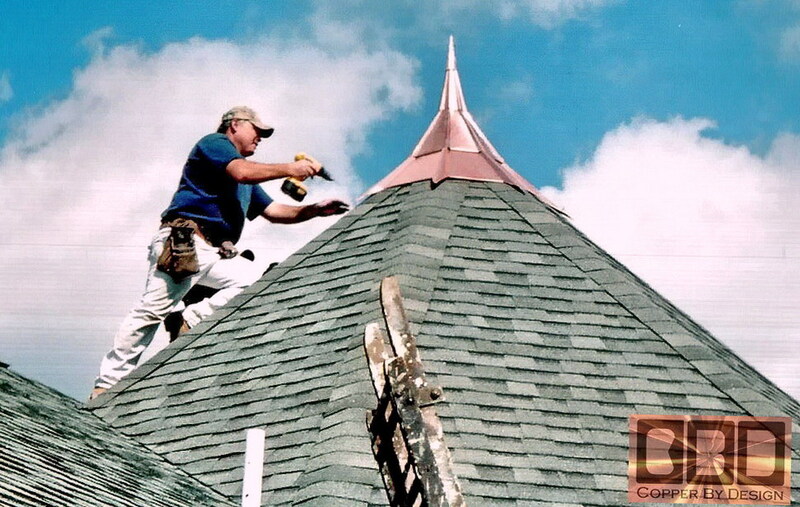 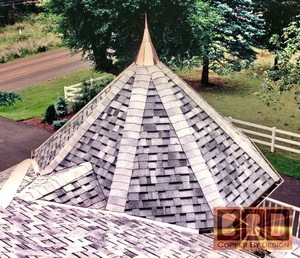 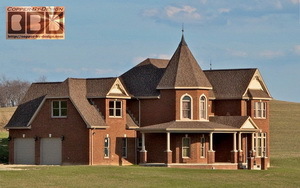 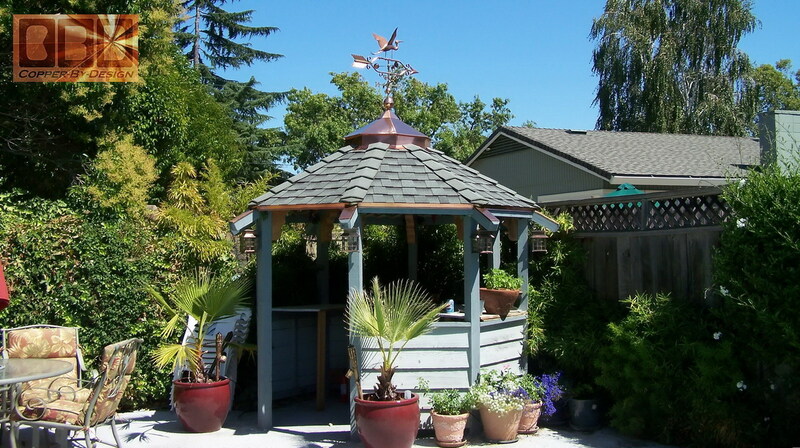 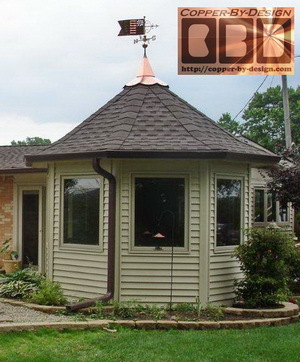 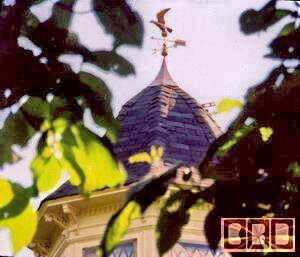 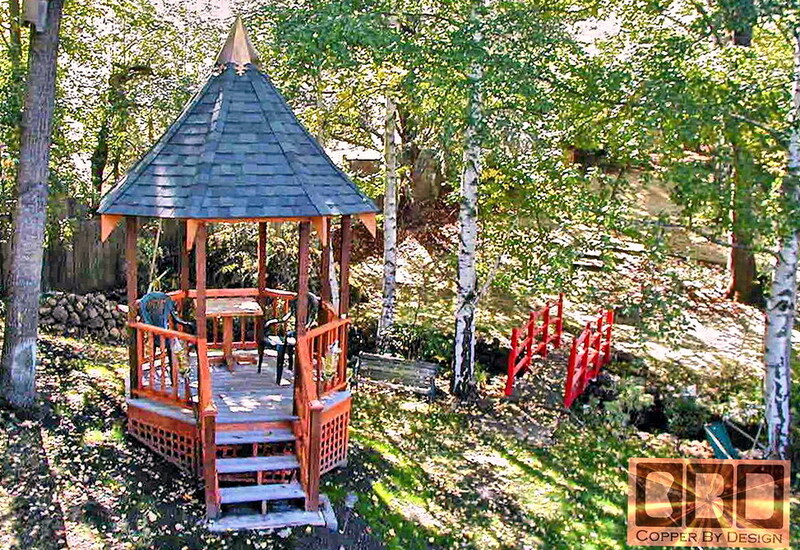 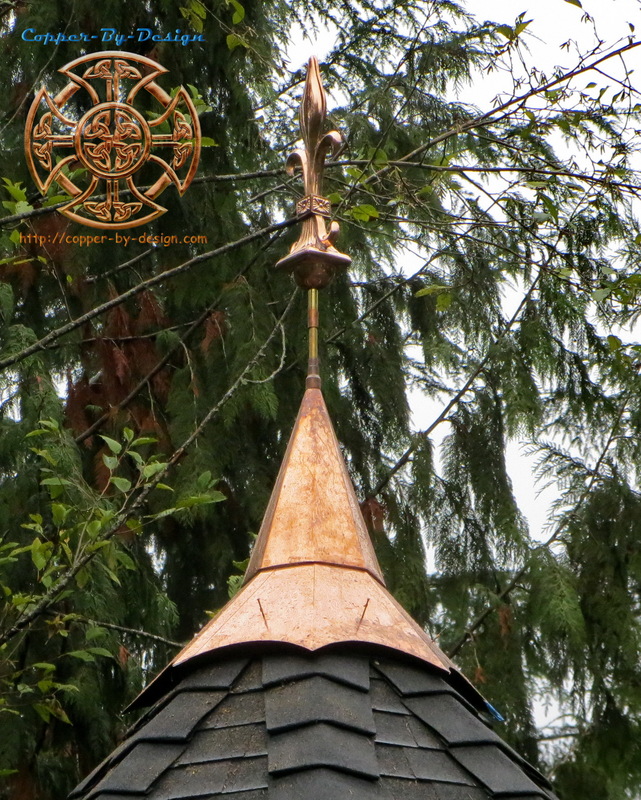 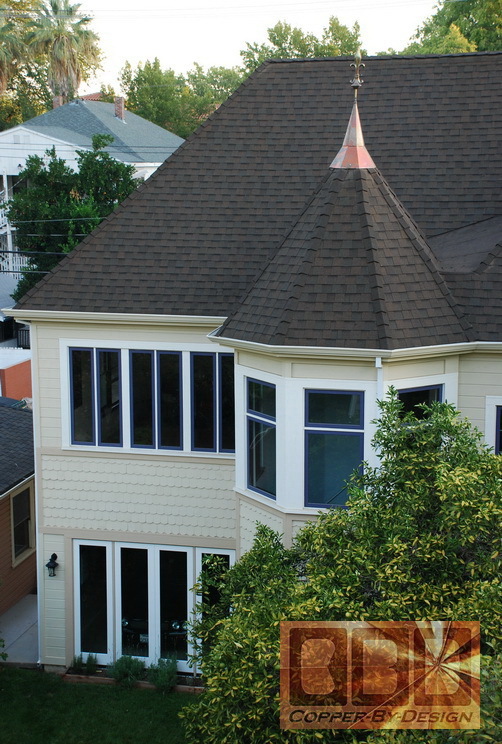 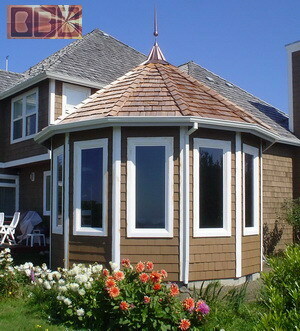 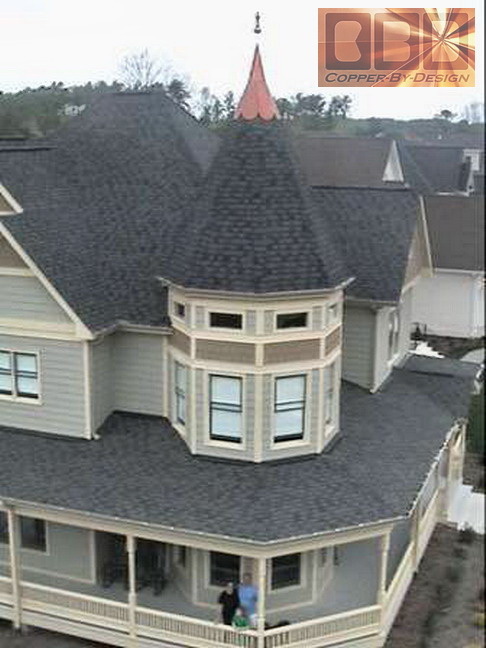 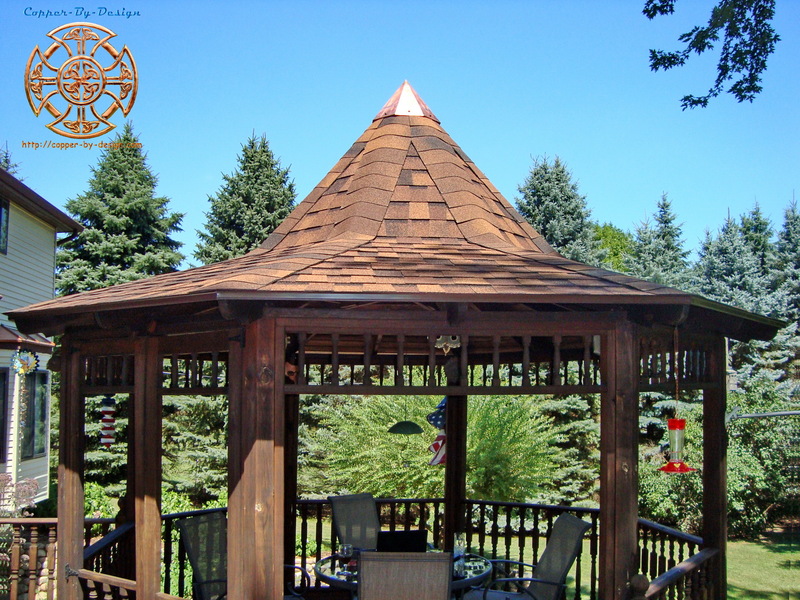 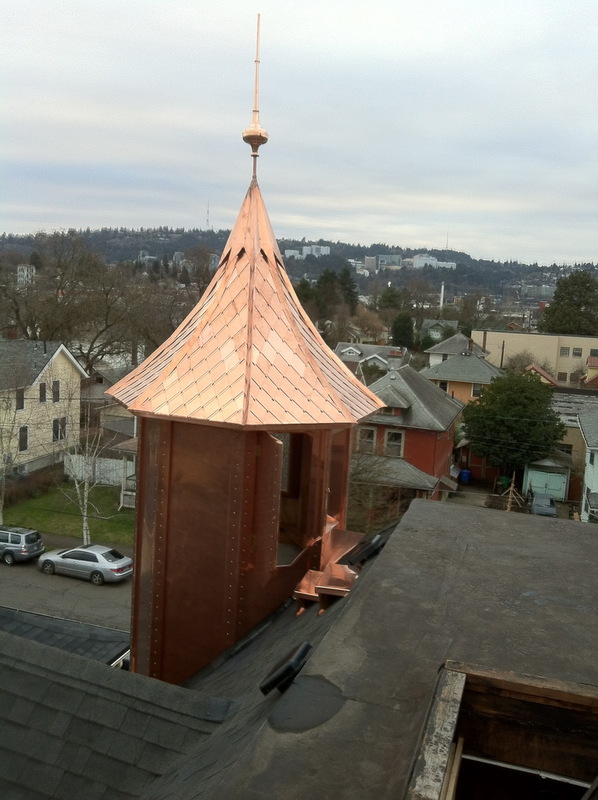 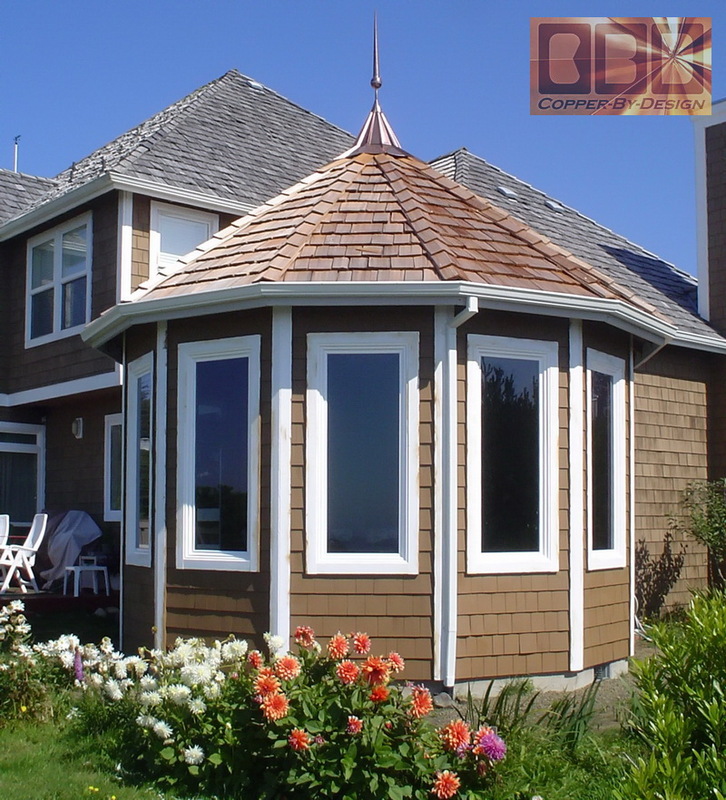 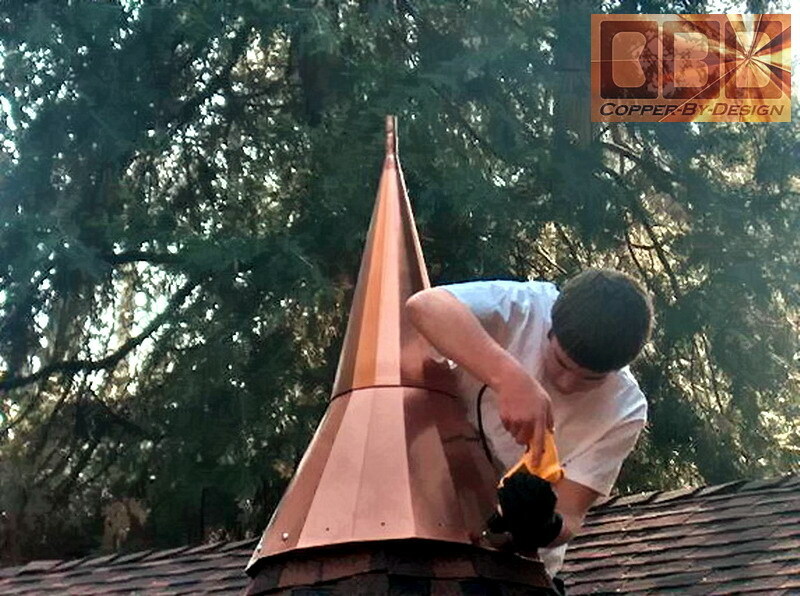 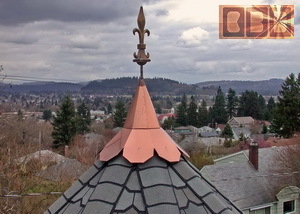 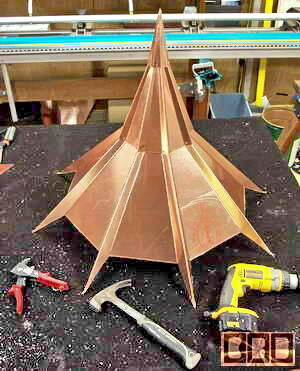 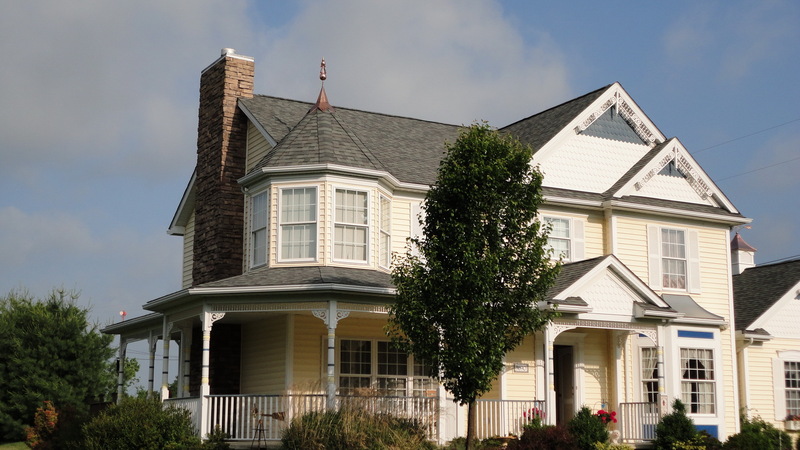 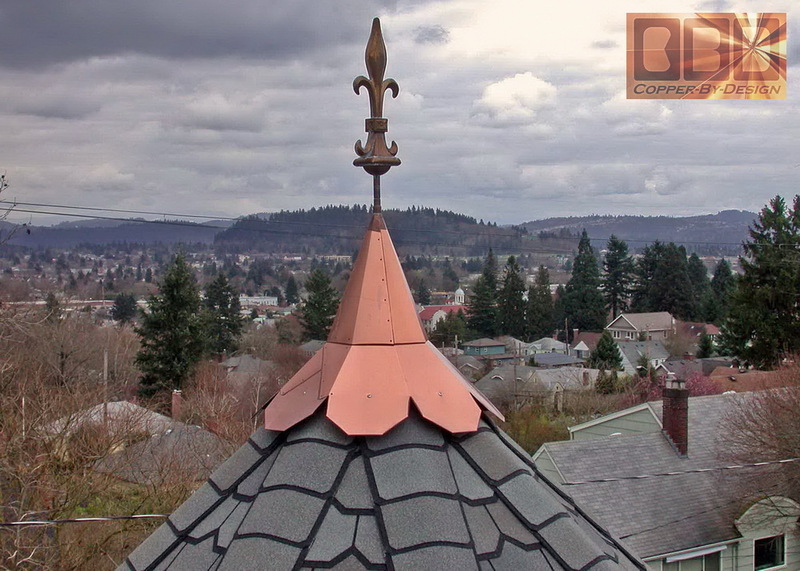 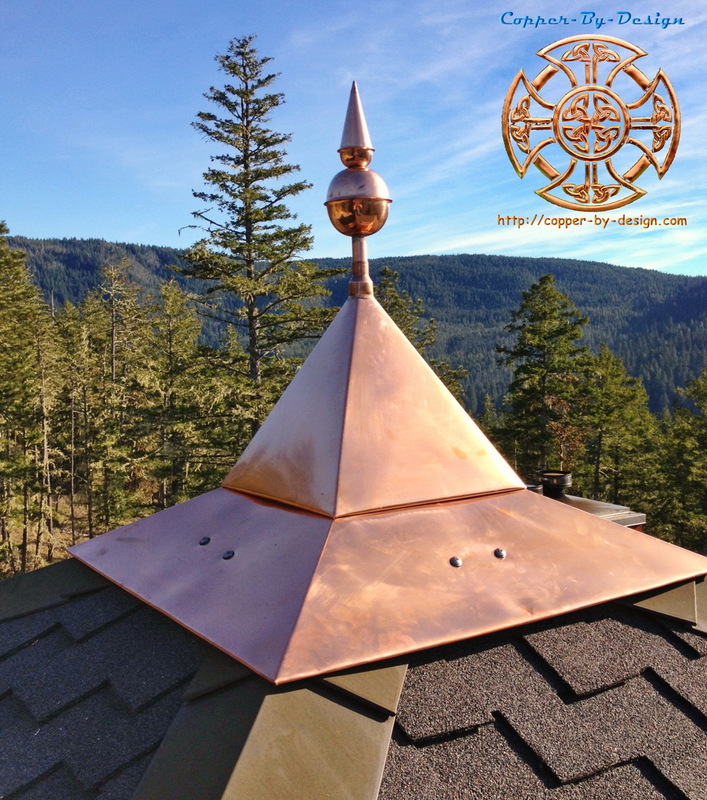 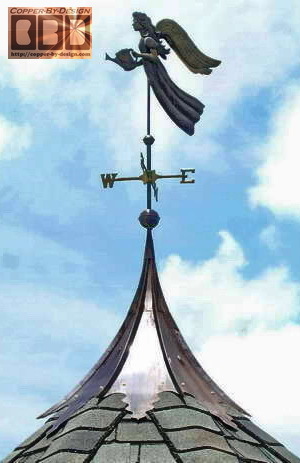 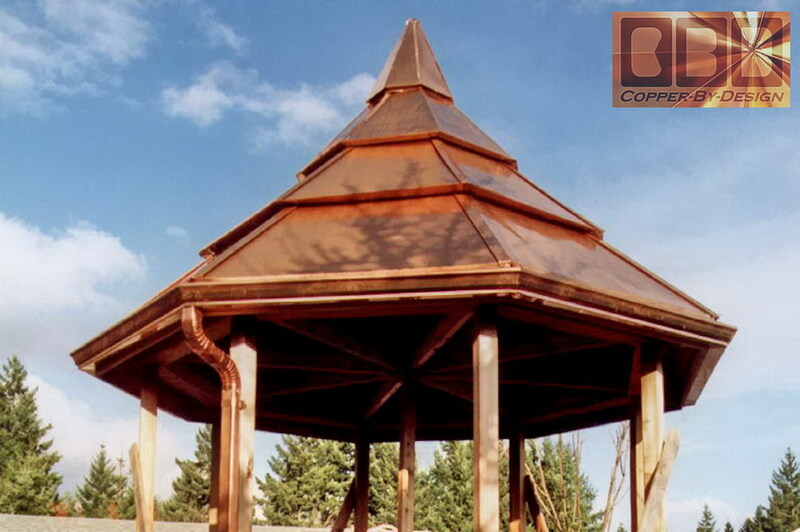 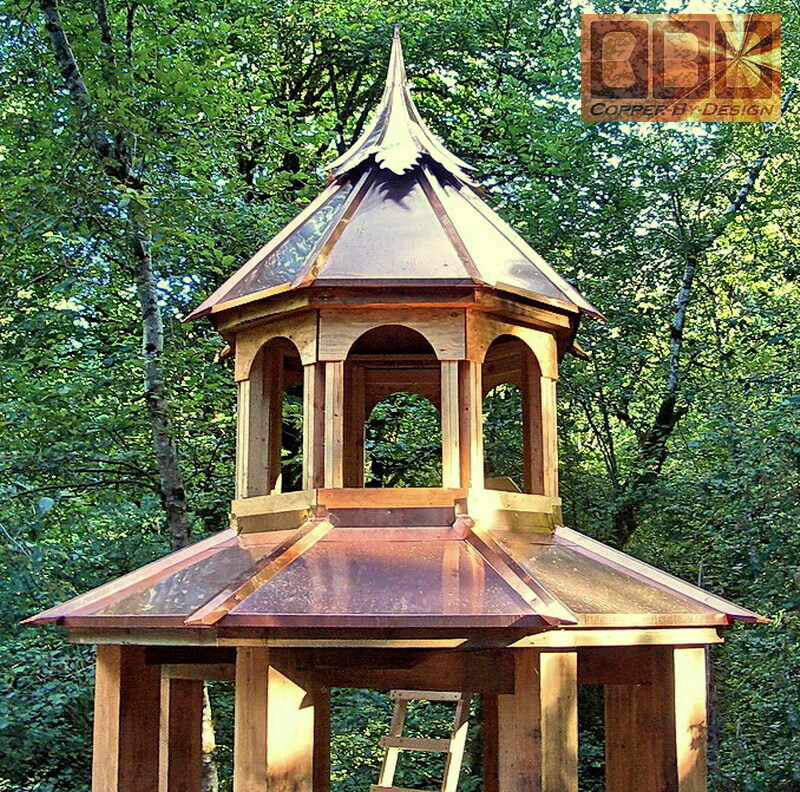 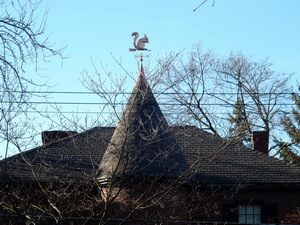 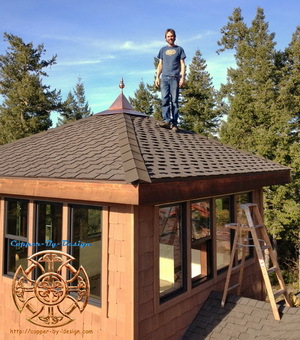 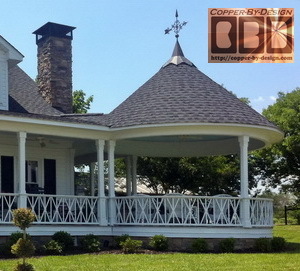 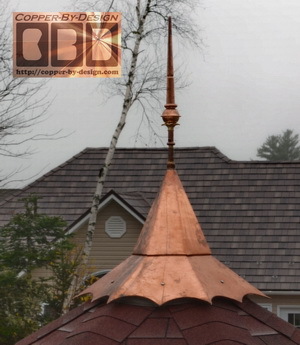 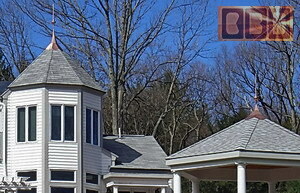 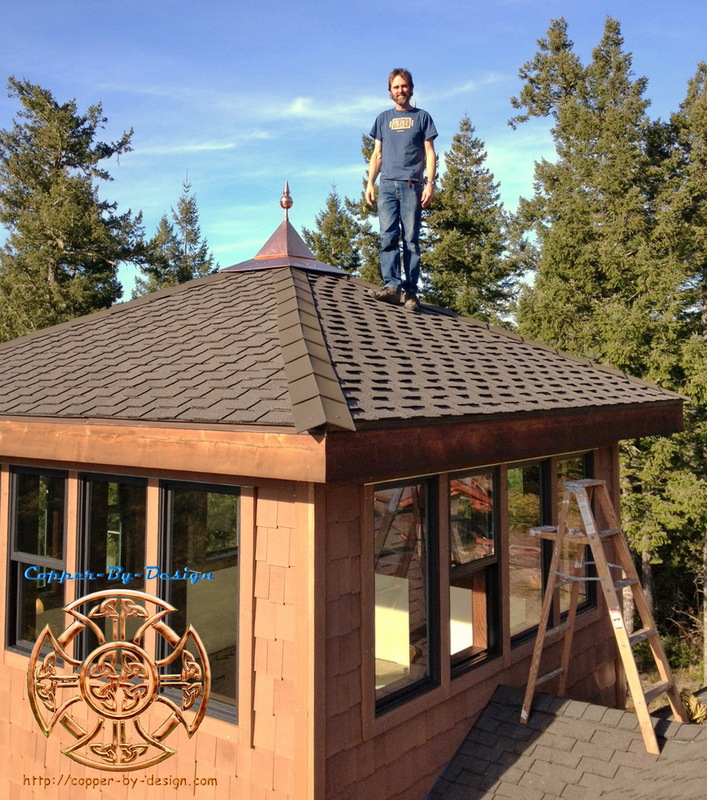 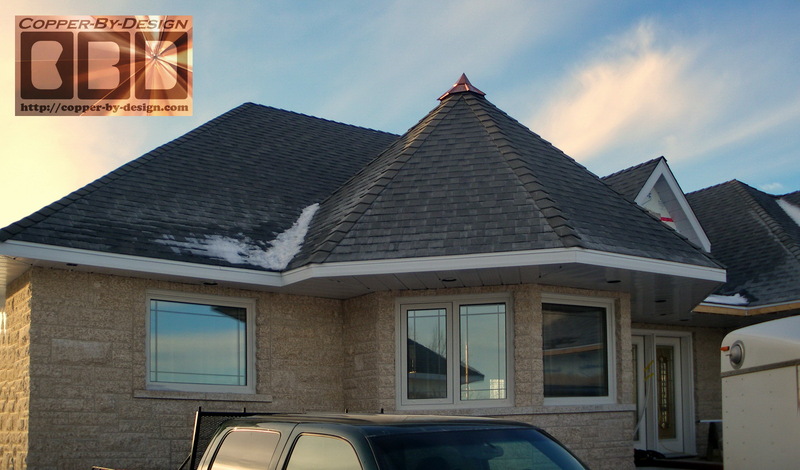 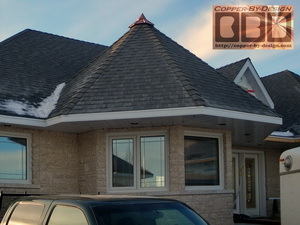 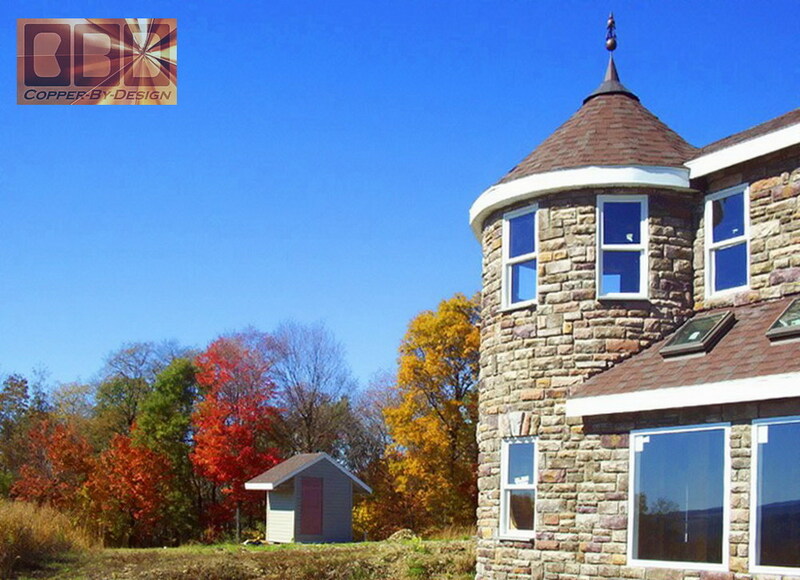 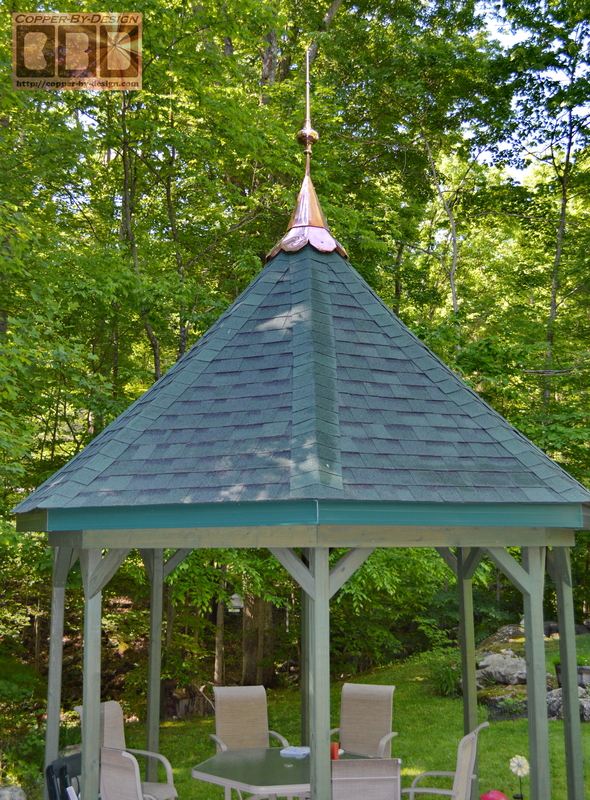 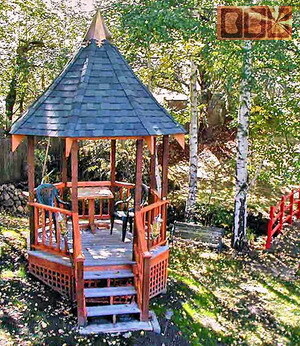 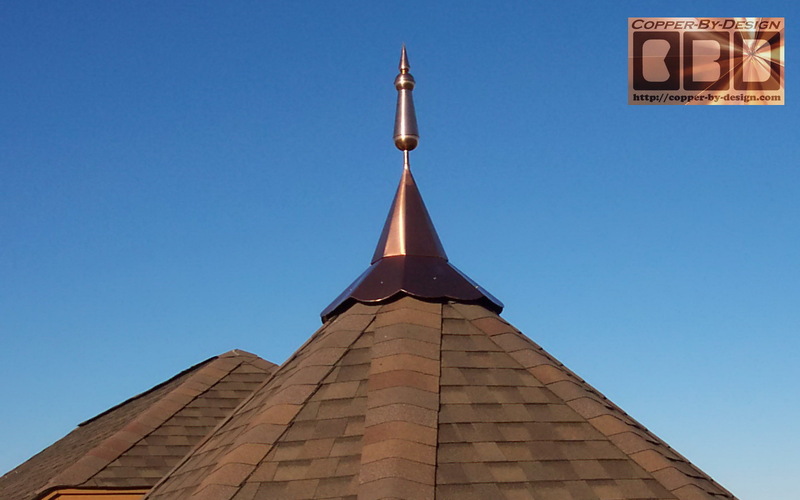 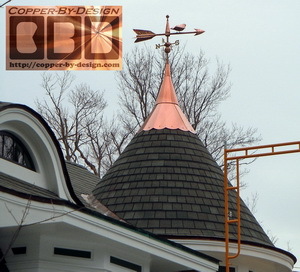 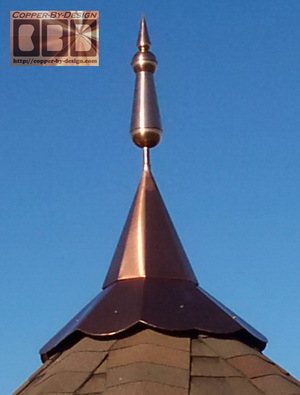 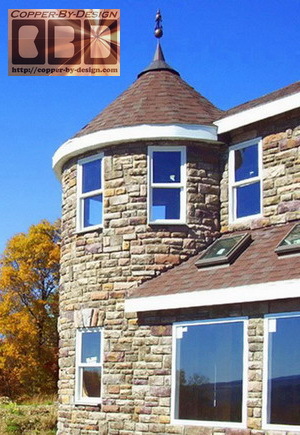 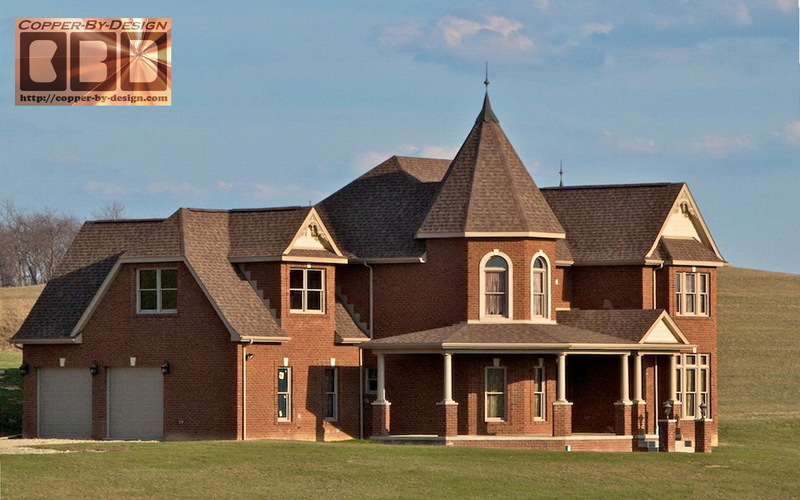 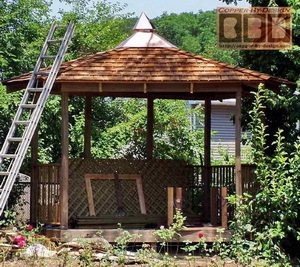 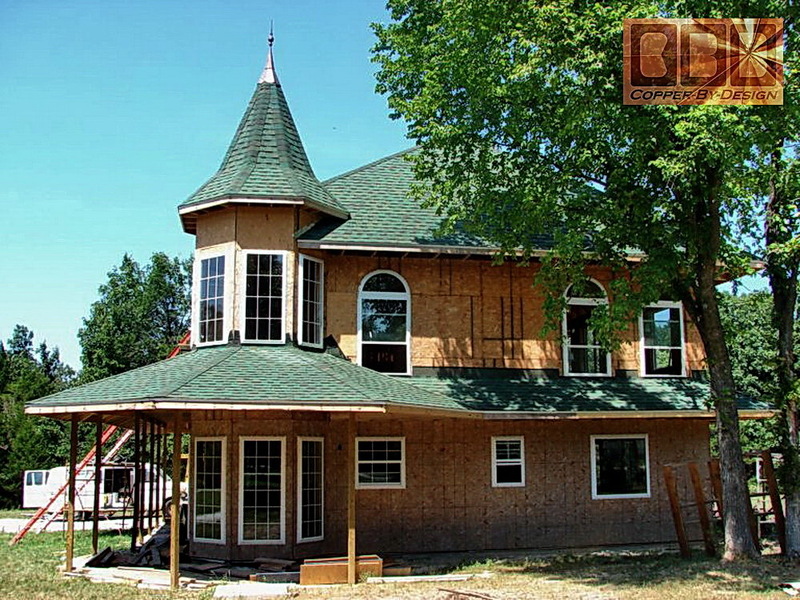 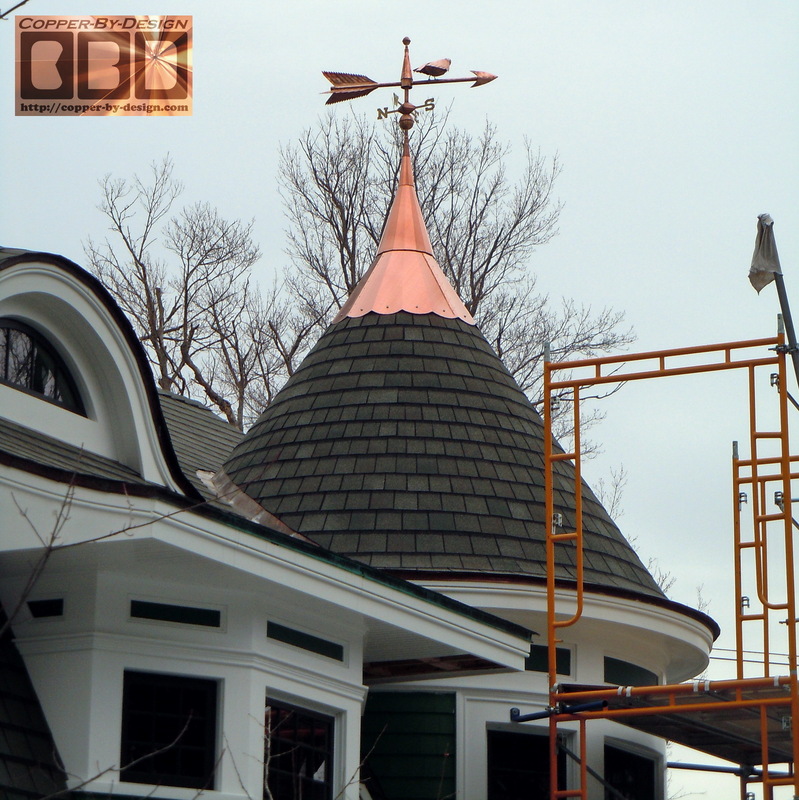 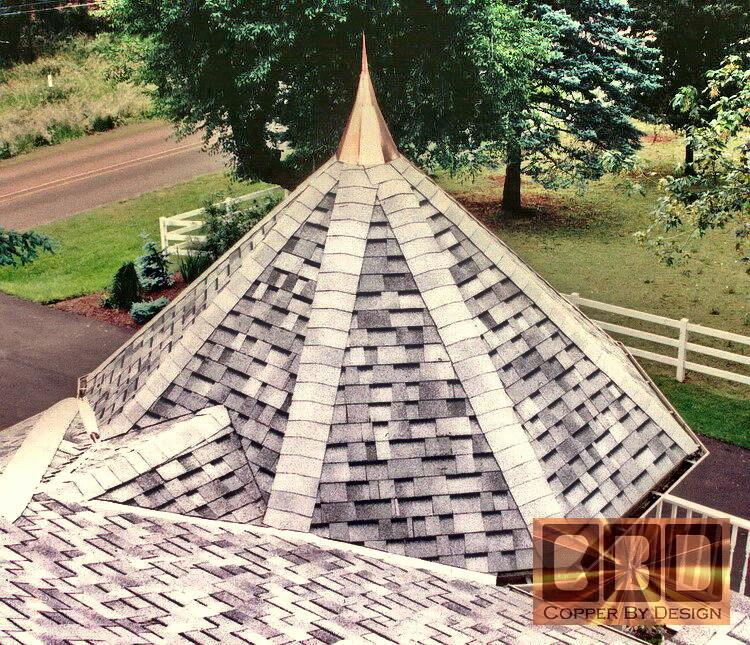 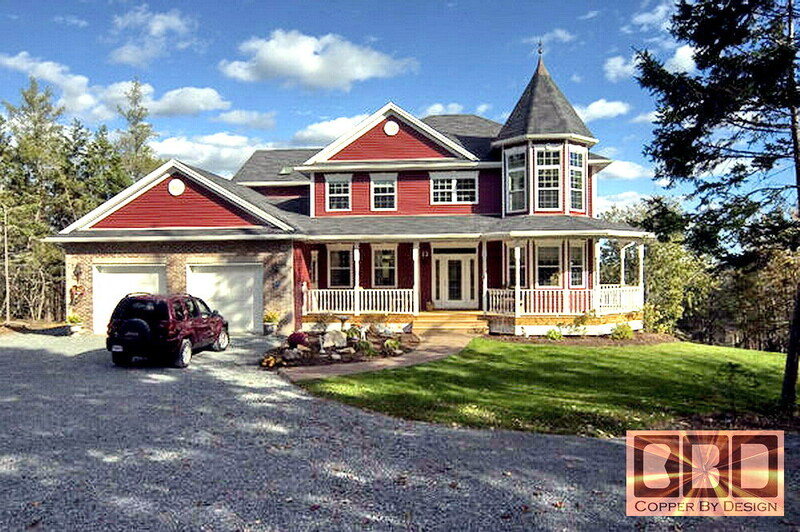 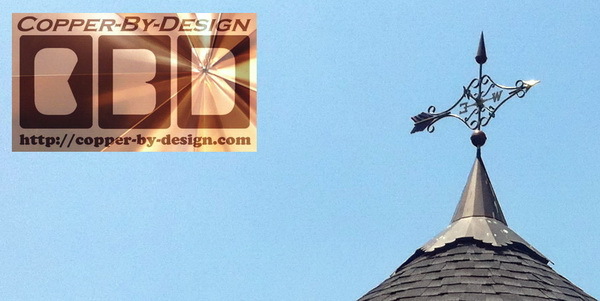 Click here to go back to the Custom Copper Roof Cap main page to see many more designs we have fabricated over the years.